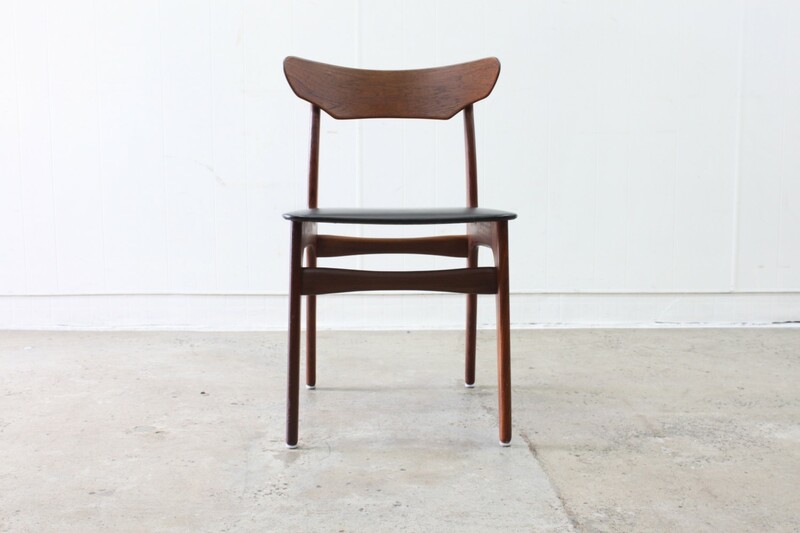 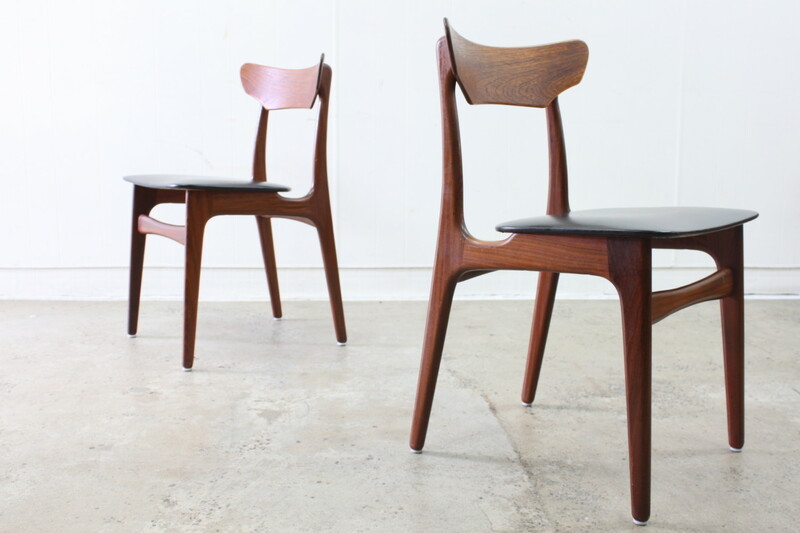 A set of 6 Mid-Century teak Danish dining chairs. 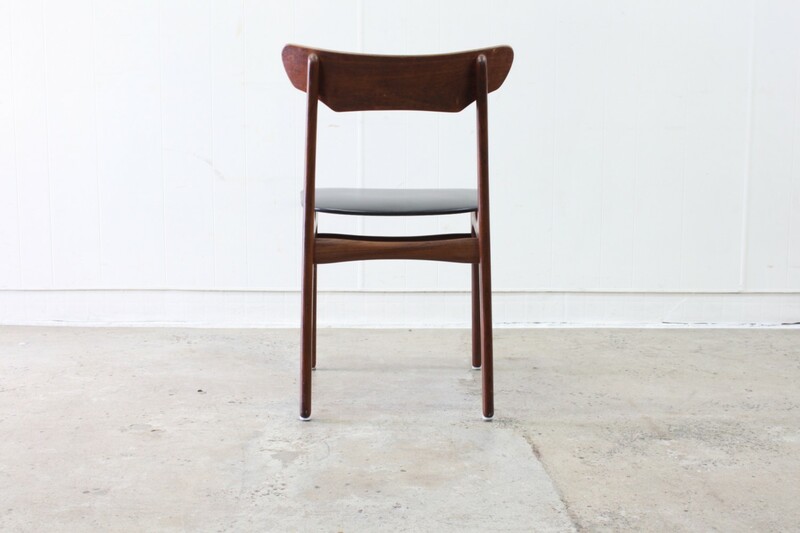 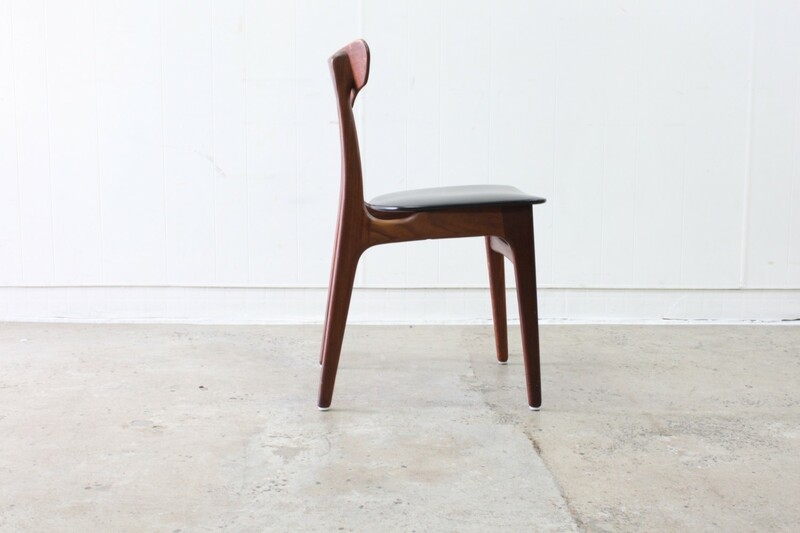 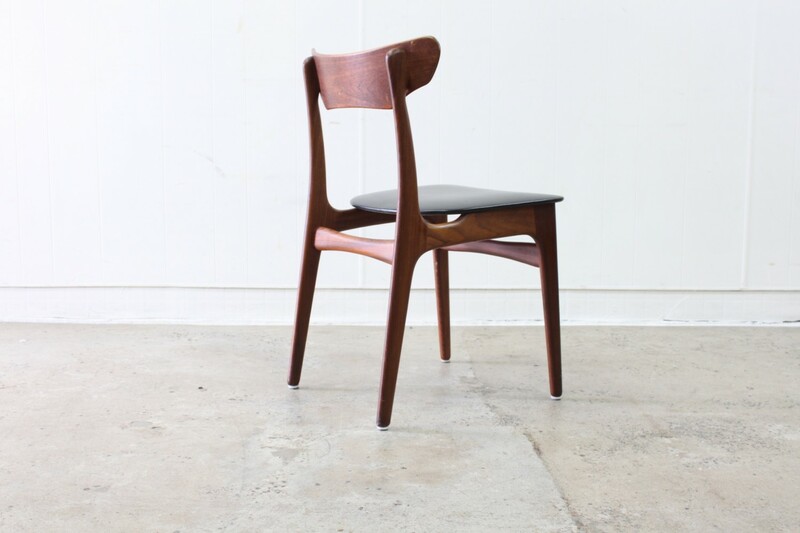 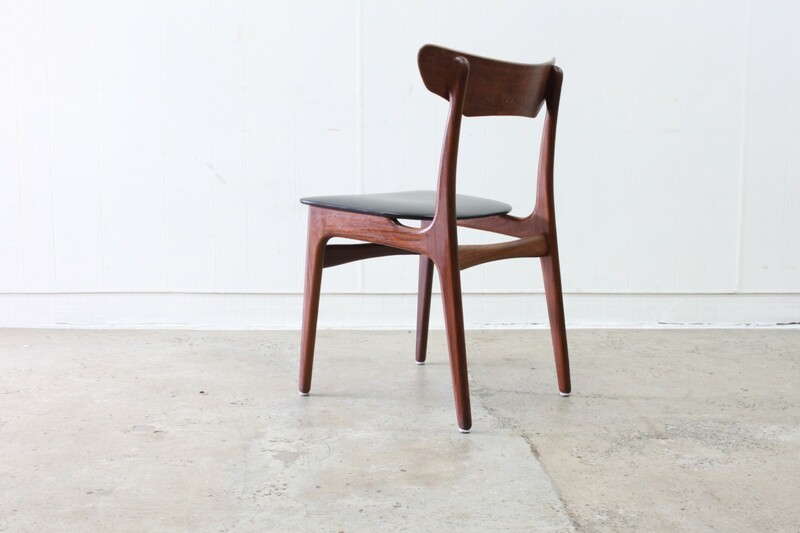 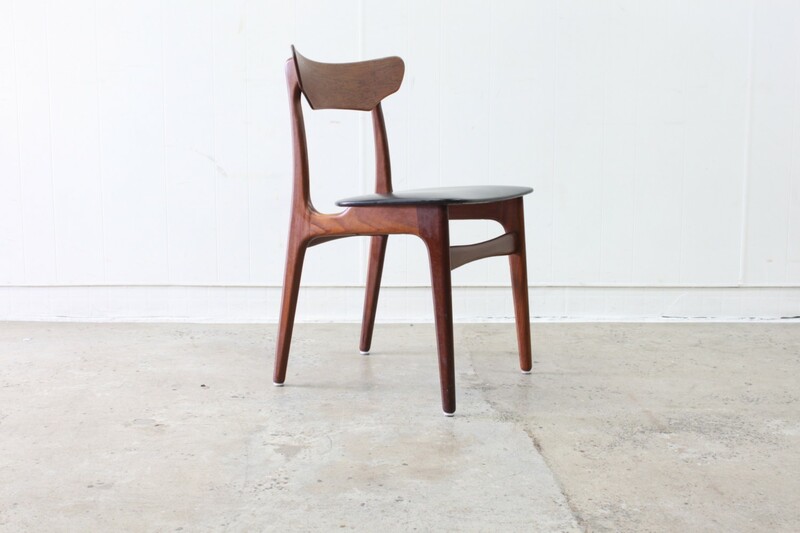 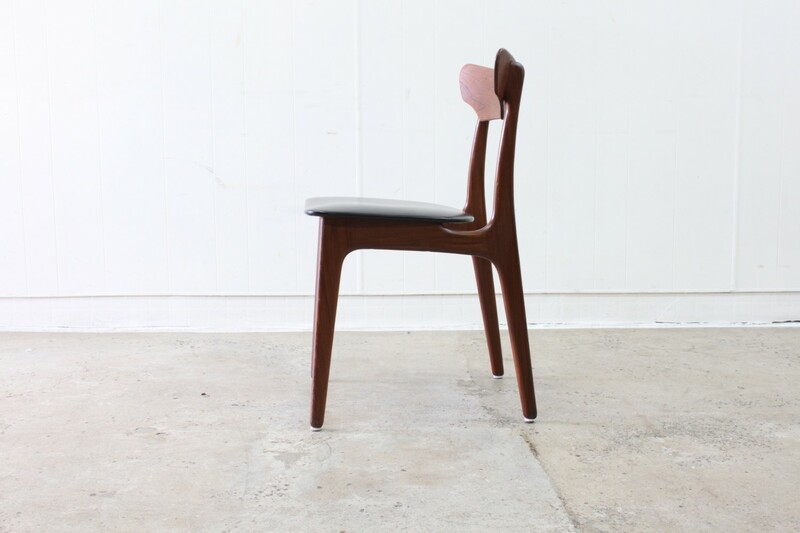 These spade back chairs have organic tapering solid teak legs and beautiful curved backrest. 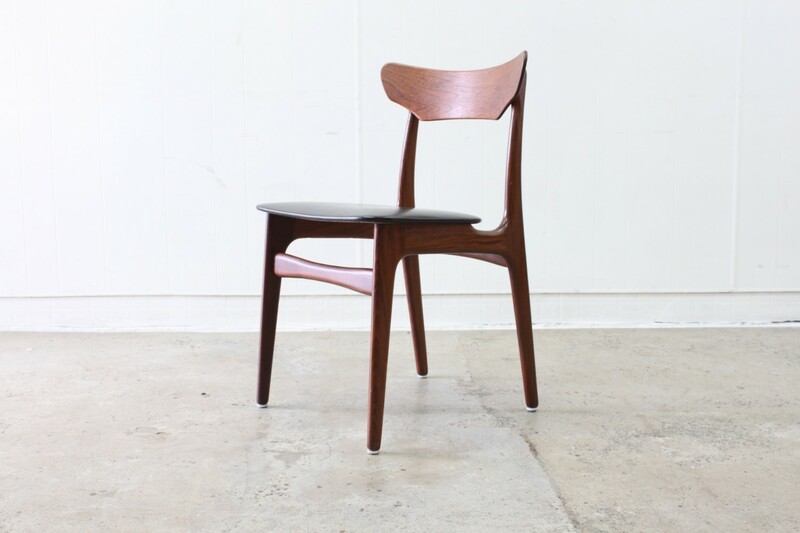 This is a very popular style dining chair with an elegant feel to them and would work perfectly with our Johannes Anderson teak dining table.